We need 72 hours notice for cancelling your reservation without being charged the first night stay. no show reservations also get charged the first night stay (for each person). You will need government picture ID. There is a $10 key deposit for each set of keys (each person must have their own keys). 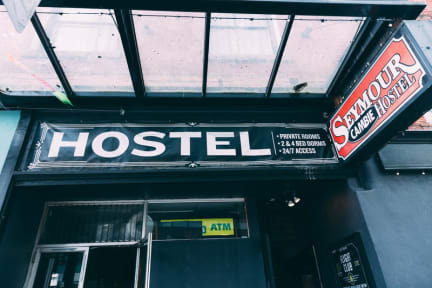 Explore a big city from an intimate base at the Cambie Hostel-Seymour! Our central downtown location is close to ESL schools, travel agents, popular attractions, entertainment centers and transportation!!! Comfort, convenience & security at the biggest little hostel you'll ever stay at! Every morning of your stay you can go to the legendary Cambie Bar in Gastown to get $5 off a seriously tasty cooked breakfast. Facilties include: self-serve kitchen with a seating area, a computer corner for you to check out what's happening in Vancouver and keep in touch with friends from back home, a laundry room with washers and dryers, luggage storage for your gear, a common area with cable TV, and last but not least, the chill room: home of our furry friendly Cambie cat! She'll cheer you up if you're feeling homesick or lonely and is always up for meeting new people to play with. Downstairs we've got live sports via satellite, fabulous food, and Happy Hour specials downstairs at Malone's Social Lounge & Tap House where you can party it up! There's also Chihuahuas Mexican Grill if you're in the mood for tacos and tequila! 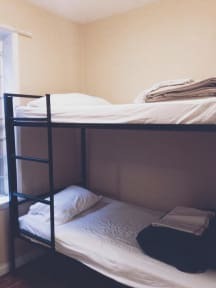 Bookings of 2 or more persons made in dormitory rooms are NOT guaranteed to be in the same room at the time of check in. To guarantee that guests traveling together stay in the same room, you may wish to consider booking a 2-bed Private room. We require 24 hours for cancellation. The total of the first night's stay will be charged to the credit card of any guest who does not arrive on the reserved day of check-in and has not cancelled in time. There is a minimum charge of 2 nights for those arriving on the 30th or 31st of December. 16 % taxes not included in rates. It's clean, stuffs are friendly, nice'n clean shower room. Just not enough facility in the kitchen, only one pot, no forks and spoons! And breakfast place is not good as other Camber @ Gaston. Other things are almost O.K.